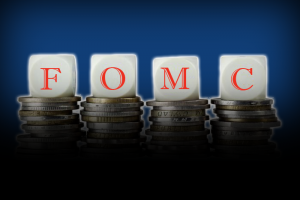 Yesterday, the FOMC released their dot plot report, showing economic forecasts, projected interest rates and a policy statement. Shockingly, the investment community was hanging on every word of the report, searching for some sign or glimmer of hope. I’m not the least bit familiar with the accuracy rating of Punxsutawney Phil, but I’d be willing to bet the farm that the rodent’s prognostication record is astronomically better than Janet Yellen’s. An interest rate increase, to fortify the Dollar, is something that should have begun at least 2-3 years ago. Anything at this point is too little, too late. The Fed’s unemployment numbers indicate 8 million unemployed in the U.S. But that number is generated by creative accounting. The true number is far closer to 20 million. Demand and trade are anemic at best and manufacturing is languishing just above recession levels. Delinquency rates on agricultural, auto, and student loans are high and increasing. The default rate in the high-yield bond market continues to rise and now sharply. More than 70 oil and gas companies have filed for bankruptcy and more are coming. Anything from the Fed at this point is pure fiction, created exclusively to continue the ruse that everything is okay and improving, but nothing could be further from the truth. The American citizen is focused on the babbling rhetoric of two of the most despised Presidential candidates in history, but the reality is that our economic implosion is potentially imminent and unavoidable, regardless of the next President. The die has been cast. The only question that remains is which event will finally trigger the implosion? Will it be a vote by Britain to secede from the EU? Will it be another “too big to fail” American bank, collapsing due to the same abuse of derivatives that caused the 2008 banking debacle? Will China be successful getting the Dollar reduced or replaced as a global reserve currency by the IMF? Stay tuned for the answer, but if you don’t have a higher than normal portion of your investment and retirement capital invested in gold and/or silver, then you’re not prepared and like most Americans, you’re going to find yourself in a very difficult situation, with little to no options.